We are deeply moved to invite you to "INITIATION"
A long weekend of exploration and discovery of ourselves as individuals and as a tribe. We are very happy to co-create this special space again. this time it will be longer, more exciting, deeper, richer and more colorful. A journey in which we change our states of consciousness. When we created this shamanic journey, we chose to create a space that allows us to move between different states of consciousness through movement, cacao medicine, precise guidance, enchanted sounds and working with clear consciousness and eros to allow us all to internalize new insights that will enable us to feel more complete and full in our daily life. What distinguishes this Festival is the tribal journey as a complete experience. We will move together through the upper gates of consciousness and meditation to the lower gates of the body and sexuality and unite them on the last day in the center of our heart. It is a possibility to undergo an entire experience that gives room to all the different parts that live in us. INITIATION allows us to experience different qualities as a tribe and as individuals in the depth of our being. Come experience, feel, explore, dance, feel, love and play together with us. All in a ceremonial, precise and enabling space. The guiding principle - " support before movement"
In order to enable each and every person to undergo a listening, transformative and profound experience with a proper space for landing and integration. The movement that takes place from the safe tribal space to the specific workshop for the right personal growth and back to the extended tribe enables us to accept the ancient "wisdom of the passage" that shows the path between separation and unity in our lives. This movement existed in ancient tribes through natural life with the connection to the elements, the kingdom of plants, minerals and animals. The collective consciousness invites us to educate and remember the open channel that exists in us. An experience of the light of awareness and love that is within and allows us to experience a deep connection with ourselves, the other and with the space between us. * Initiation = an experiential path that enables physical, emotional and mental transformation that fundamentally changes our perception of life. A space that allows us to connect to ourselves and work with the element of fire that our fire team will maintain throughout the weekend. A space for men only around a bonfire in the desert held by the Shiva organization and which enables us to rediscover what is true male brotherhood. The space reserved for women only allows you to experience the woman you are. Here is the house for you to relax, breathe and deepen with the clans. The space is held by La Indigo. A sacred space where you can always get support from our skilled staff of therapists. Over the weekend there will be five different workshop areas (except for the main stage) where we will journey with the best guides from Israel and around the world. 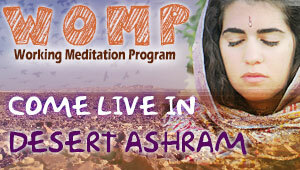 This is an opportunity to undergo life-transforming experiences in a safe and precise space. An exciting opening ceremony that allows for a connection to the tribe and opening of the heart, a performance and a joint singing experience with the one and only "Laor" coming to us from Ibiza, a meditative musical journey with "Shir Sofer", an emotional Kabbalat Shabbat and a booklet with "Uriah Tzur" The cocoa with "Shachar Caspi" and "Yudan Meaver" and an exciting graduation ceremony. The possibility of going out into the open desert and feeling the magic of nature together with various works that have been woven over the years. Areas that are designed to enter inside, a deeper observation and connection to the whole I am. Come with us for four days that allow us to undergo ceremonies, workshops, performances and meetings from two lives. To dance our freedom with amazing musicians and move from a consciousness of survival to a consciousness of devotion and a sense of simple connection and love to us and the tribe we created. ● Please do not bring animal, drugs, glass bottles, gas burners. Ashram is a vegetarian community so No meat or fish.